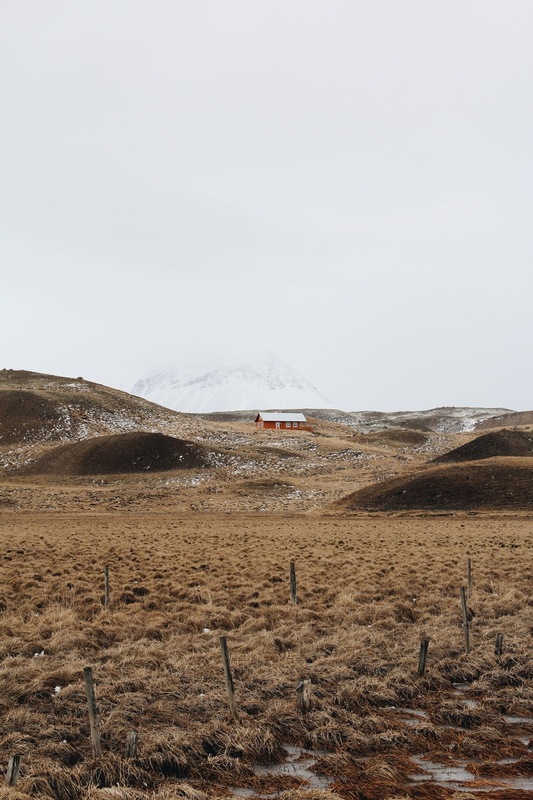 As we drove into the Snæfellsnes Peninsula we thought, "we've already seen it all, what more could there be?" Yeah, well, we we're wrong. We decided to end our 9 Day Roadtrip through Iceland's incredible terrain with a loop through the Snæfellsnes Peninsula in West-Iceland and if time wasn't on our side, we may have skipped over most of it, if not all. BIG no-no. Make time for it. It's arguably one of the only parts of this insane country where you can see all of the unique elements nature has to offer! Plus you'll have major regrets because it only takes a few hours drive. 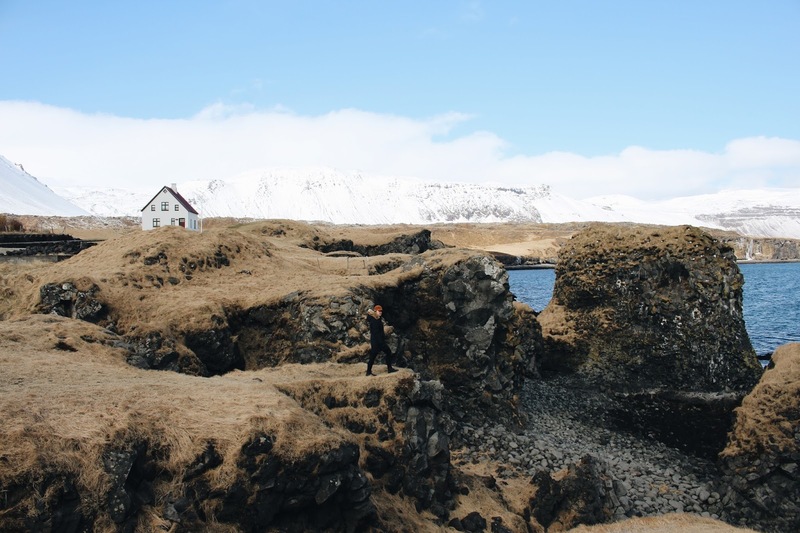 The Buðir black church is one of 3 black churches in Iceland and has been a church there since 1703. It's beautiful back drop is one for the books, and this is arguably my favourite spot in all of Iceland. Once we were done skating the open roads we hopped back in the car and made our way further into the peninsula to the small harbour town of Arnarstapi. The basalt cliff formations are an incredible spot to soak in an afternoon of beauty. If you're looking to get out of the car and get some fresh are take the 60 minute walk along the coast to Hellnar. We opted to drive to what used to be one of the biggest fishing ports in Snæfellsnes, Hellnar. With beautiful rock formations that protrude into the ocean, this little town is in and of itself, magical. Make your way down to the beach to check out the caves carved from years of water erosion. Are you hungry yet? Well, it looks like you could use a little pick me up. Or at least a tea break. Lucky for you a lovely little café by the name of Fjöruhúsið sits right by the sea at Hellnar. The location is fantastic and this little hidden gem by the sea cliffs is the perfect spot to grab a treat. It is well hidden, until, that is, you reach the top of the hill, so be sure not to miss it. 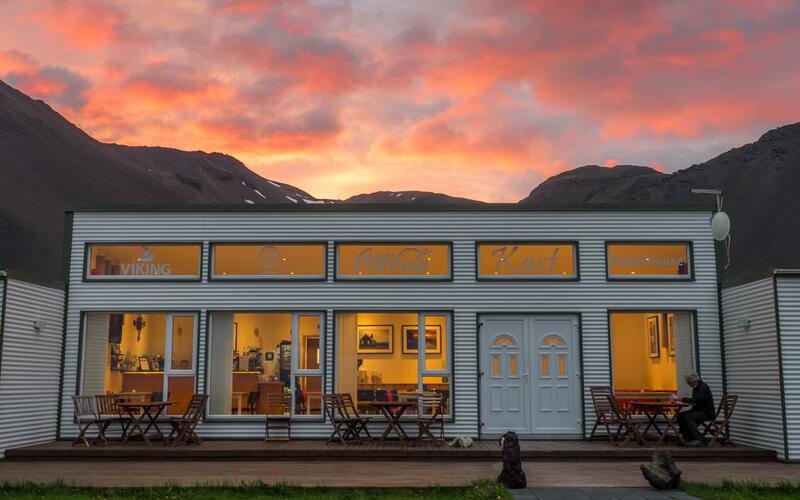 They offer an array of home-made cakes and bread, hot chocolate, waffles and fish-soup. The most photographed lansdscape in Iceland is the one and only cone-shaped Kirkjufell mountain. On the opposite side of the road you'll find the waterfall where you can do a little hike and enjoy the amazing views. 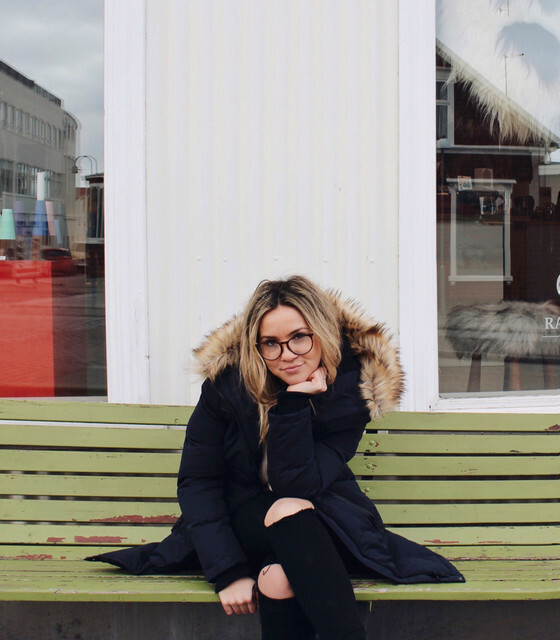 Options for overnight stays are slim in this neck of the woods so many people make the drive back to Reykjavik once they finish Snaefellsnes Peninsula. 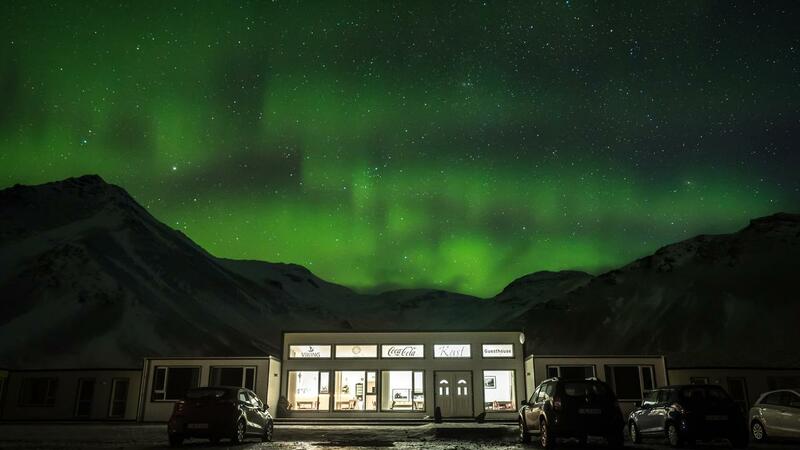 Don't pass up the chance to stay amongst the natural beauty of Iceland. Kast Guesthouse is the perfect way to end your trip! So why not splurge a little? You only get views like this once! You never know what you'll find in this huge peninsula so take your time and make sure to get out of the car and explore. 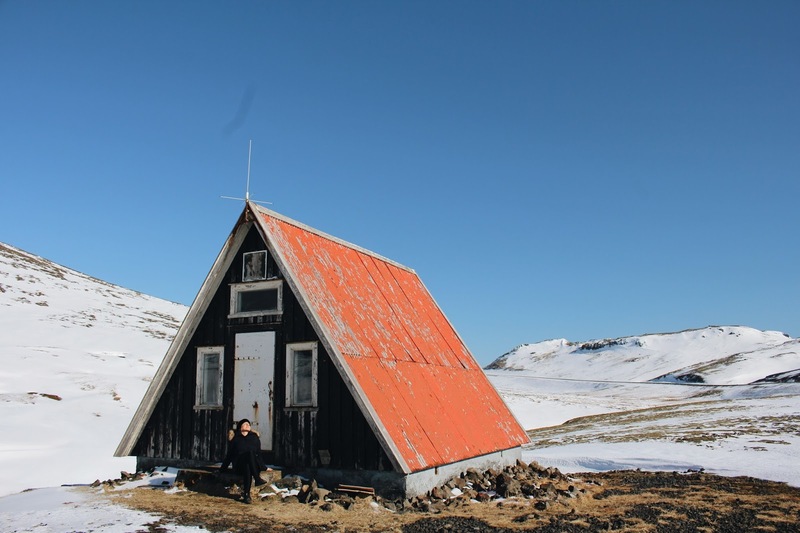 You may even stumble by this abandon cabin in mountains! You know where to find me if you have any questions!